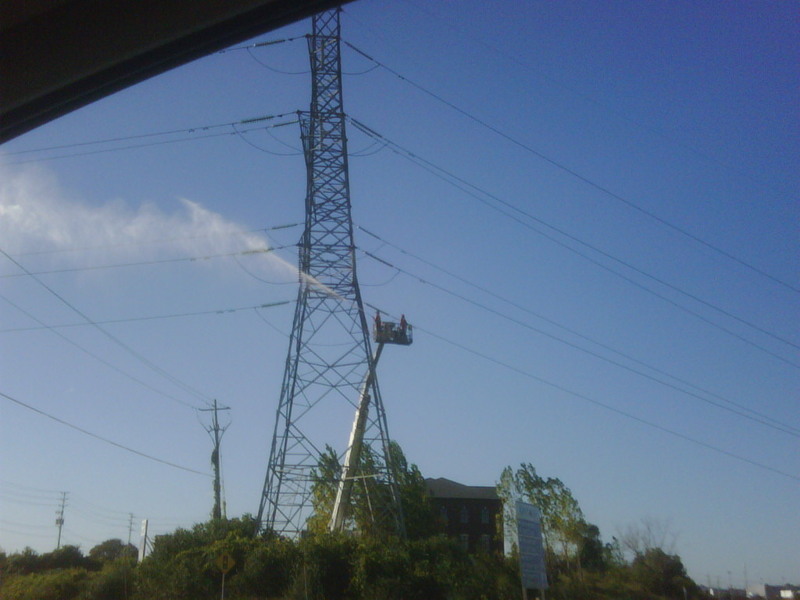 Here you can see some power farmers watering a transfer tower. It used to be a small telephone pole, but with their gentle nurturing it has grown into a strong high voltage hydro tower. Or it could be a hot day.